It's hard to believe that Easter is next weekend. It feels like only last week we were shoveling snow (oh wait, that did happen in New England on April fools!). This time of year is one of our favorites. Spring is in the air and the joy of new life brings a kind of warmth that lasts even through next winter. 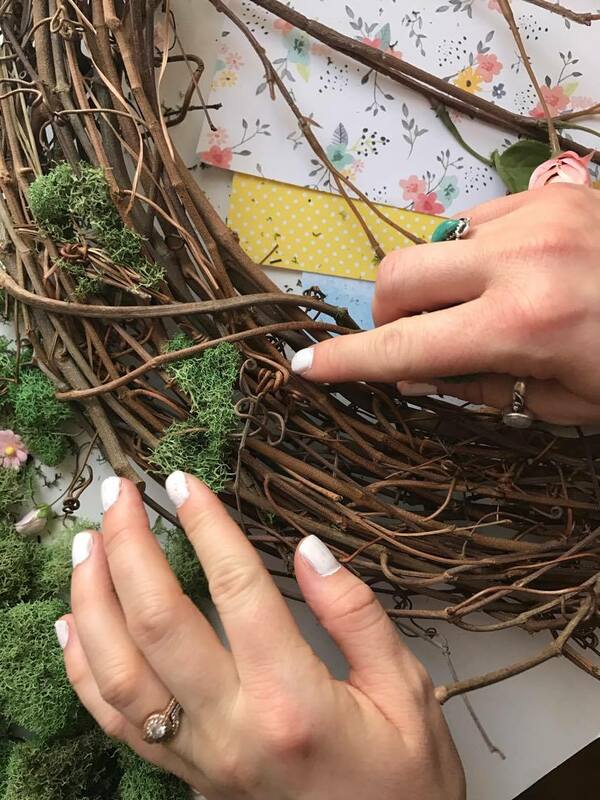 In honor of this blessed season, we put together an adorable and fun DIY Easter themed wreath. 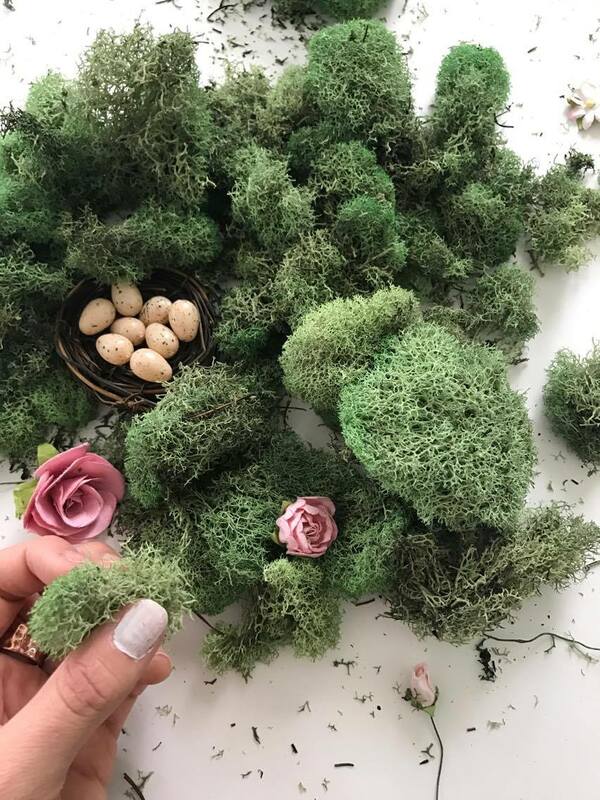 Intersperse moss into the twigs of your wreath. We let the moss phase out as we got closer to the spot we wanted to place the banner. 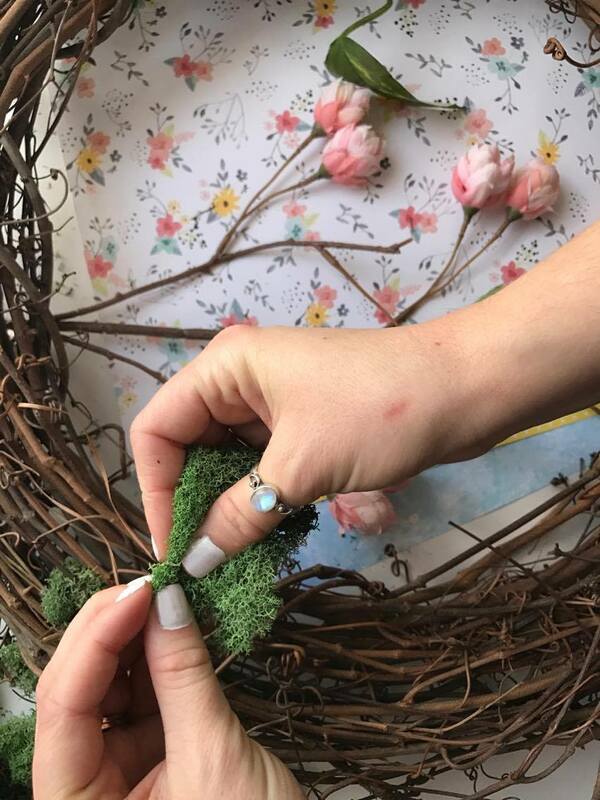 Hot glue the eggs into the bird nest. 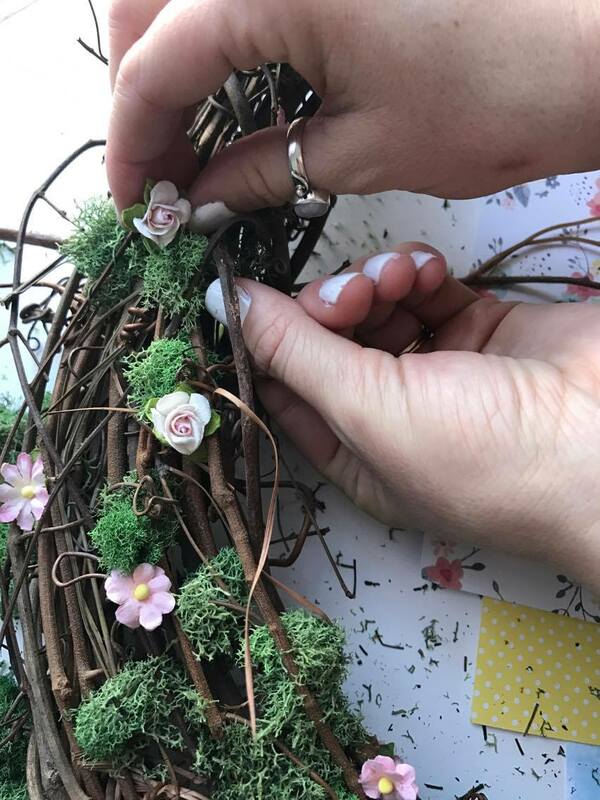 Once dry, use the hot glue to secure the bird nest on the lower left side of your wreath. 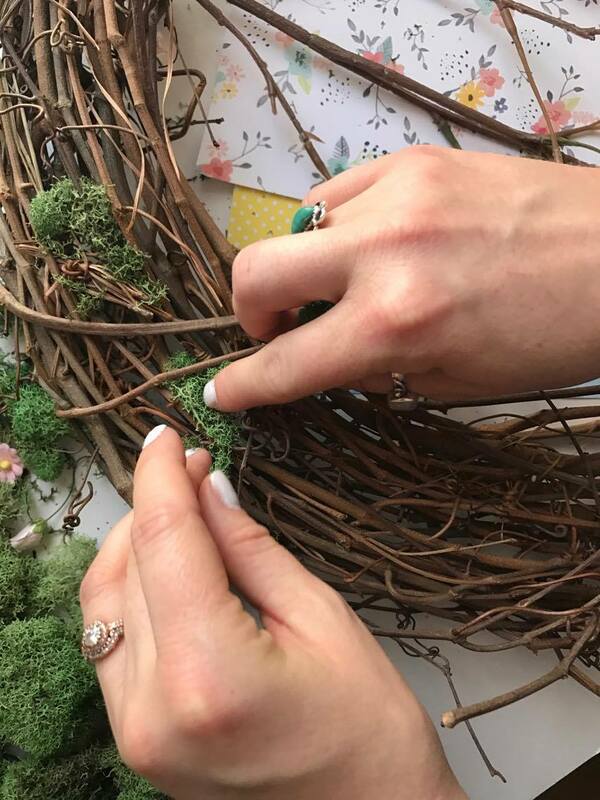 Adorn your wreath by delicately placing the blush flowers throughout the moss and twigs. Fold craft paper in half and create a banner template at the crease. Cut out the paper banners and fold them over the twine. Secure them with hot glue. Tie the banner on the top right and middle right of the wreath in a juxtaposition manner. Once you feel happy with the design of your wreath, hang it on your door with a nail or a wreath hanger. Enjoy!